I’ll be getting my Nokia N810 Internet tablet this week, and I’m definitely looking forward to it… Ironically, I’ve been playing with a Nokia N800 that was sent to me by Nseries WOM World a few days ago! I also recently acquired a Nokia 7710, which is the ancestor to the Internet tablets. 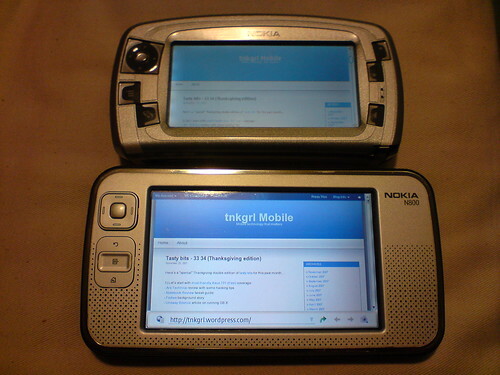 It’s a Symbian-based (S90) smartphone with a large touch screen that uses Hildon, the same user interface as the Linux-based (Maemo) Internet tablets.